Skip and Pip celebrate love with a mad dose of frivolity. ​Join them and the other inhabitants of Rainbow Glade, where love is celebrated in all its beautiful colors. To see where they began start with Be Mine and click through the collection. Happy 5th Anniversary to Skip and Pip! Check out this year's special Valentine's Day episode here. Are you following the Pirate Bunny Mystery Love Story? ​Check out all the episodes of The Mystery of the Carrot Medallions here! Skip and Pip's first book is making its way to your favorite online retailers in both ebook and print formats. Check out where you can find it right now! If you'd like a special signed copy of the book and some cool gifts to go with it, you'll want to "hop" over to the store and buy it here. ​Need some cool Skip and Pip products in your life? Check out all the new items - including plushes - in the newly reopened webstore! What's Happening in the Bunn-galow? Skip and Pip author and illustrator Catherine Dair does her first TV interview with Travis Mayfield. Thanks for having us on! Check out what she had to say here! Skip and Pip have tea with new neighbors Eva and Dora and discuss why Rainbow Glade is a wonderful place to live. Huge thanks to the Mischief Corner Books crew for inviting the bunnies (and squirrels!) to participate. ​Bookwinked asked some great questions on how Skip and Pip came about. Thanks to Larissa for spotlighting the bunnies! Ever wanted to know more about Skip and Pip's house? I am sharing all the details of The Bunn-galow. 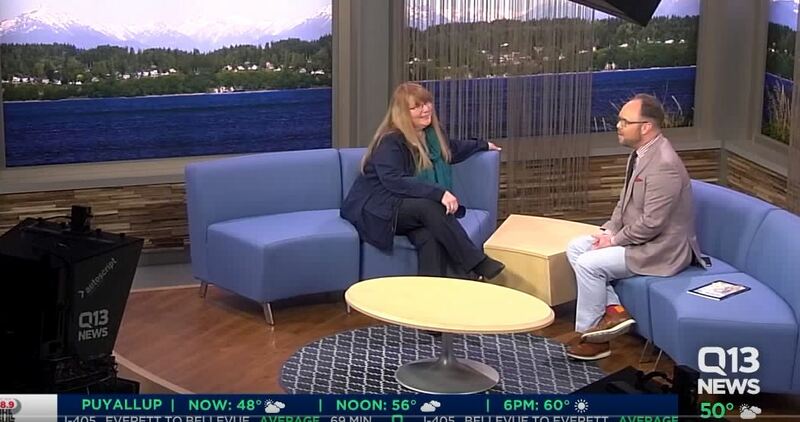 Skip and Pip were features in Travis Mayfield's "What's Trending with Travis" segment on Q13Fox News. What a fabulous tribute and we here at the Bunn-galow are incredibly grateful. You can see the segment here! Thanks so much Travis! Did you know Skip and Pip have a Facebook Group? Bunny fans get sneak peaks at upcoming art, participate in polls and contests and get all the hopping news first. The Group is called "The Bunn-galow" and feel free to join in the fun.